Student Council is preparing for our canned food/non-perishable items food drive. We will be donating all items collected to the Huffman Food Pantry. The drive will run from Monday, October 1st through Friday October 5th. Please help spread the word. Every item counts (including packs of Ramen noodles)! Canned , boxed, bagged, or jarred items are welcome. Please help us support those in need in our community. Students will drop off their items to their first period teacher. Think about this: If every student brought 1 non-perishable item to donate, we would collect over 800 items. Please help us help those in need throughout our community. Student Council meets on Mondays until 3:30pm in the library. We will also open up Wednesday morning meetings during late arrival days starting October 3rd from 8:45-9:00am only on late arrival days. Students will hear reminders on the morning announcements. 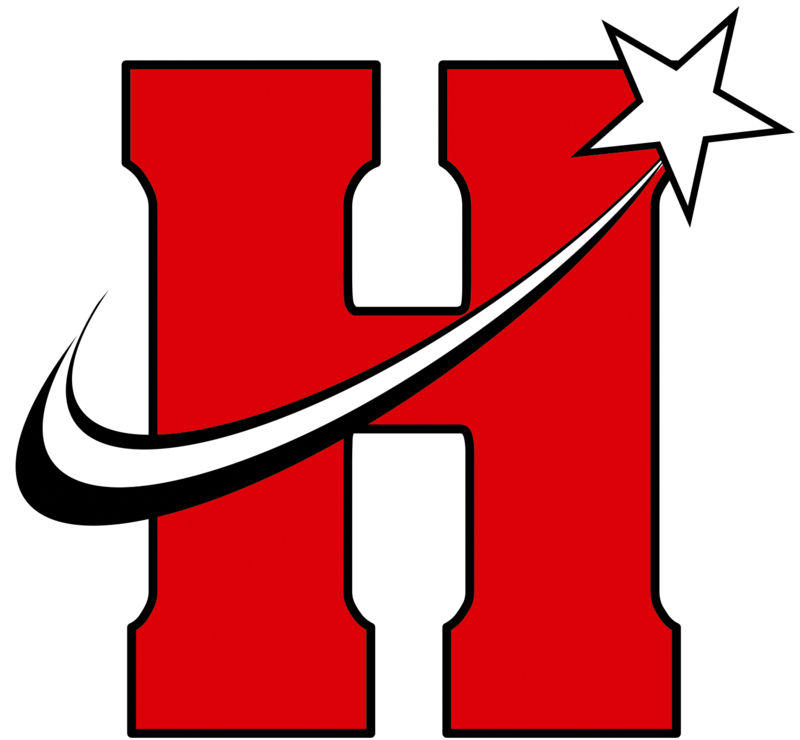 Our first meeting for the 2018-19 school year will be September 10th from 2:50-3:30PM. All interested 6th, 7th, and 8th graders are welcome and encouraged to attend. Please download and review the constitution as some election rules have changed. You can also get a copy from Mrs. Lamb and Mrs. Rickli at this meeting. Please download Google Classroom or access it through your student portal. We will be communicating through that this year. Our classroom is called: 2018-19 STUCO. You will receive the access code at our meeting. On September 24th we will elect officers for the year, if you aren't interested in being an officer yourself we need you to attend this meeting so that you can vote, (that means you will have a say in who our representatives are). This will not be a school wide election so the more students that attend, the more voices will be heard. By the first week of October, we will be opening our school store. We will also be sponsoring a non-perishable food drive during the first week of October. More details will be posted soon. Thanks for another great year! 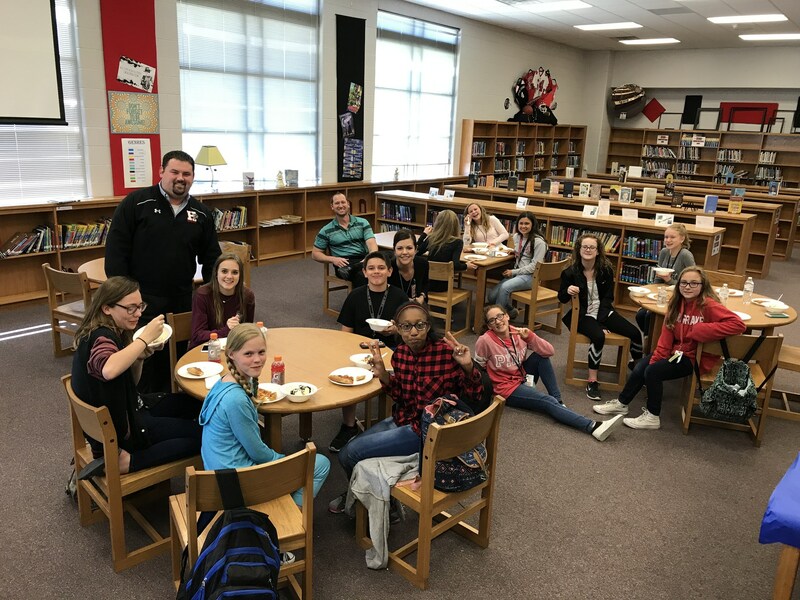 We appreciate your dedication and hard work. .
HMS Student Council will be hosting a danish and coffee event on Veteran's Day (Friday, November 11th) from 7:30-9am to honor all veterans in our community and thank them for serving our country. Middle school students with relatives who are veterans are welcome to join them in the library. If you are or know anyone in the community who is a veteran, please forward this information to them. Please RSVP no later than Nov. 1st if you are able to attend. RSVP's can be sent to Mrs. Lamb, jlamb@huffmanisd.net or 281-324-7533 or Mrs. Rickli, mrickli@huffmanisd.net. 9/19/16 Mondays Rock!!! We have our weekly Student Council meetings every Monday until 3:30 sharp! All students (grades 6, 7, & 8) are welcome and encouraged to attend! Food drive THIS WEEK!!! Please help us help others in our own community by donating non-perishable items by this Friday, April 8th. Our next STUCO meeting will be held on Monday, April 11th at 3PM. As a reminder, we have a meeting today after school until 3:30. Happy Monday! Good morning! As a reminder, our school store is open on Tuesday and Thursday mornings from 7-7:20am. We have all kinds of school supplies to purchase so everyone is prepared for the school day! Our weekly meetings are on Mondays from 3-3:30. Good morning! Our school store is officially open! Students can shop for miscellaneous school supplies (pencils, pens, highlighters, glue sticks, pencil top erasers, etc.) or HMS lanyards on Tuesdays and Thursdays in the library from 7:00-7:20AM. Over the next few weeks, we are preparing for our canned food/non-perishable items food drive. We will be donating all goods collect in support of the Huffman Food Pantry. The drive will run from November 9th-November 13th, 2015. Please help spread the word. Every item counts! There will be a 'top prize' awarded to one class per grade (6th, 7th, & 8th) that collects the most items! Please help us support those in need in our community. Good morning! I have attached the tee-shirt order form for anyone interested in ordering a Student Council tee shirt! They are $10.00. The forms and payment are due on Monday, October 26, 2015. Hello! We have officially held our STUCO elections. We were so impressed by our students' speeches. We officially have our new 2015-16 STUCO Executive Board. Please check our bulletin board for the officer list. Congratulations to our entire Student Council! This will be an amazing year! 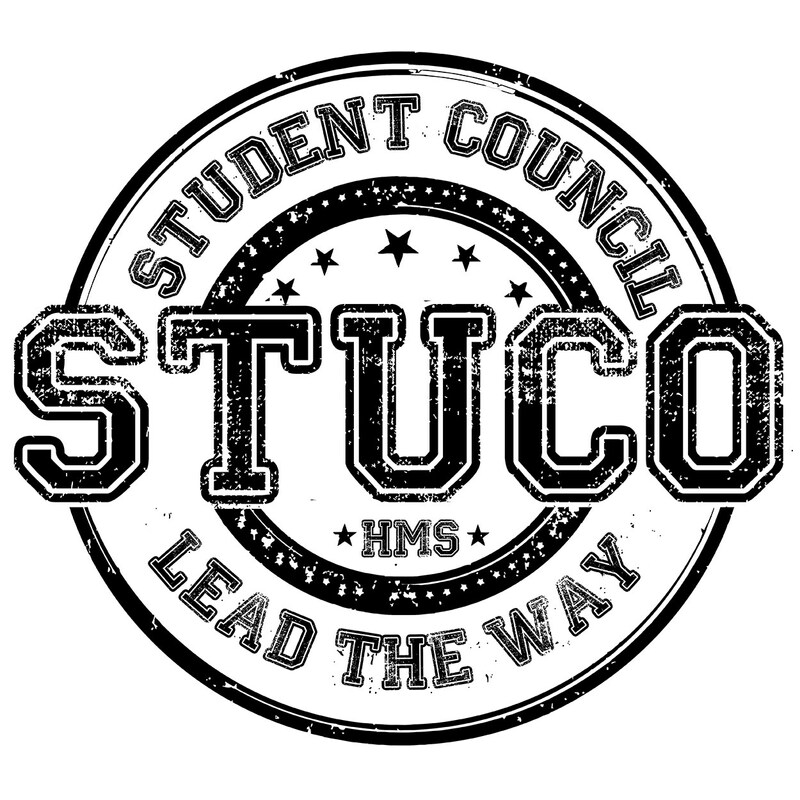 Here is a friendly reminder that we are holding STUCO officer elections this Monday, October 5th at our after school meeting. Students who have decided to run MUST have the teacher recommendation form handed to a teacher of choice in order to be considered. This form will be returned by teachers no later than this Friday. Students must also be prepared with a speech explaining who they are (name, grade, etc. ), what position he or she is running for (President, Vice President, Secretary, Treasurer, or Public Relations Officer), and why he or she is the best person for that position. We are looking forward to next week's meeting! 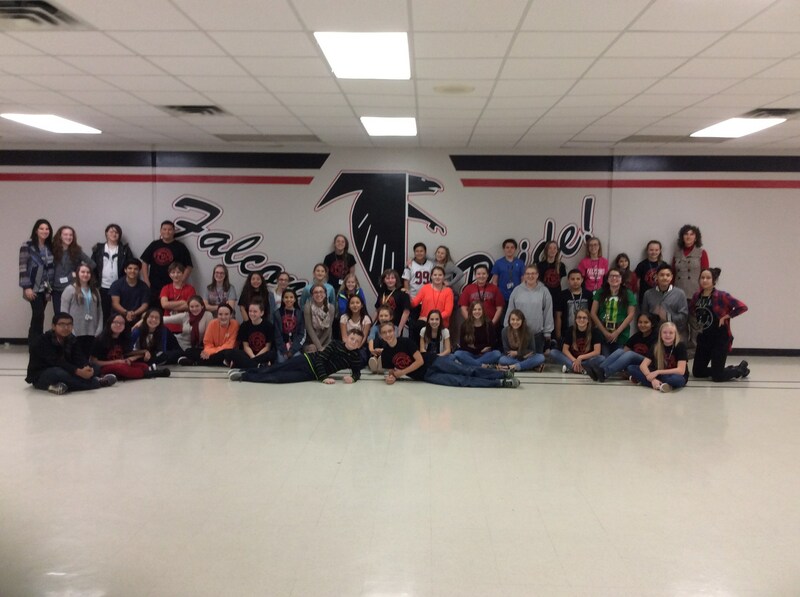 Welcome to HMS Student Council! Mrs. Lamb and Mrs. Rickli will be leading STUCO this year and we have some exciting community service projects to work on. We will also open and operate our mobile school store as well as participate in additional fun activities throughout this school year. Our meeting time will be every week on Mondays from 3-3:30 pm in our school library. Please mark these meetings in your calendars. We have attached the handout of expectations and STUCO Constitution that students received to be signed at one of the preliminary meetings. If students participate, they must hand the last page in with their signature along with a parent/guardian signature no later than this Monday, 9/28. The teacher liaison and principal signature lines will stay blank. We will take care of those. If students are interested in running for any officer or liaison positions (as outlined in our STUCO Constitution), please have them start thinking about what position and their focus for speeches. This will all be explained to them in our first meeting this Monday 9/28/15. If you have any questions, please feel free to email Mrs. Lamb jlamb@huffmanisd.net or Mrs. Rickli mrickli@huffmanisd.net. We are looking forward to an amazing year!! !